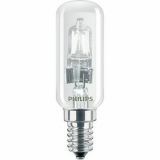 VIKIWAT Ltd. offers a huge variety of high quality PHILIPS lamps and bulbs. 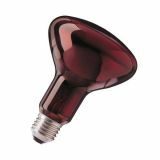 You can find every kind of automobile xenon, halogen lamps with all standard sockets, bulbs for cars, motorcycles, trucks and other vehicles as well as household and home lamps and lighting consumables with long life, safety and durability. PHILIPS – let’s make things better! 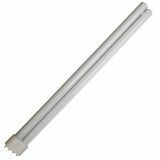 Fluorescent Tube 30W, T8, 6500K, cool white, 900 mm Luminescent tube TL-D with power 30 W, length 900 mm and cold white color (6500K). 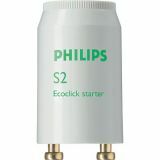 Fluorescent lamp starter S2 Ecoclick, 4-22W Fluorescent lamp starter with power 4-22 W SINGLE . Starter S10, 4-65 W, SINGLE Fluorescent lamp starter S10 with lamp wattage 4-65 W.
Ceramic Capacitor, 1pF, 50V, Ф1x3mm, THT, +/-10% Ceramic capacitor with capacitance 1 pF, operating voltage 50 V and case dimensions Ф1x3 mm. Ceramic Capacitor, 1.5pF, 50V, Ф1.5x3mm, THT, +/-10% Ceramic capacitor with capacitance 1.5 pF, operating voltage 50 V and case dimensions Ф1.5x3 mm. 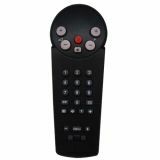 List Price 8.99лв. VAT Incl. 8.54лв. VAT Incl. List Price 9.00лв. VAT Incl. 8.54лв. VAT Incl. Ceramic Capacitor, 2.2pF, 50V, Ф1.5x3mm, THT, +/-10% Ceramic capacitor with capacitance 2.2 pF, operating voltage 50 V and case dimensions Ф1.5x3 mm. Compact Fluorescent Lamp PL-S 11W/840/2P, 1CT/25, 11W, 220VAC, 4000K, 2 pin Energy Saving Lamp PL with power 11W, socket G23 and neutral white light. List Price 5.80лв. VAT Incl. 5.51лв. VAT Incl. 5.22лв. VAT Incl. Ceramic Capacitor, 2.7pF, 50V, Ф1.5x3mm, THT, +/-10% Ceramic capacitor with capacitance 2.7 pF, operating voltage 50 V and case dimensions Ф1.5x3 mm. 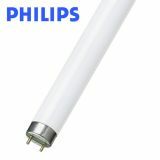 Fluorescent Lamp, 18W, T8, 220VAC, 3000K (warm white), 600 mm Fluorescent linear lamp with power 18 W and voltage 220 VAC, warm white (3000 K). Ceramic Capacitor, 3.9pF, 50V, Ф1.5x3mm, THT, +/-10% Ceramic capacitor with capacitance 3.9 pF, operating voltage 50 V and case dimensions Ф1.5x3 mm. Compact Fluorescent Lamp PL, 9 W, 840, 2P Compact Fluorescent Lamp PL with wattage 9 W and base G23. List Price 5.50лв. VAT Incl. 5.23лв. VAT Incl.